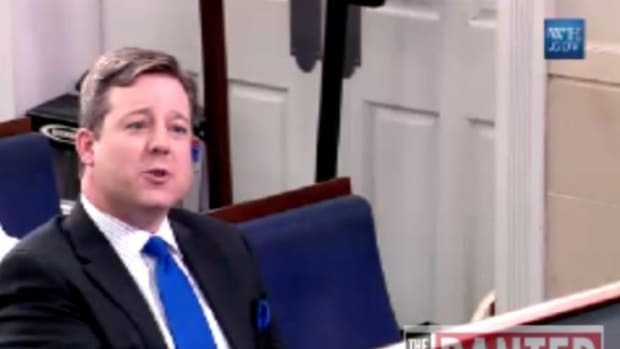 December saw the unfortunate retirement of Fox News White House Correspondent Wendell Goler, but this week marked the emergence of his successor, Kevin Corke, who has big shoes to fill. 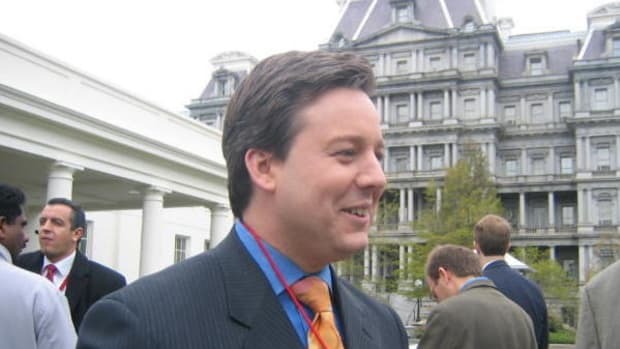 On December 3, the White House press corps lost a great member when Fox News correspomdent Wendell Goler retired. Throughout his decades-long career, or at least for as long as I knew him, Goler was a hard-working, scrupulously fair and objective reporter, so much so that even as a Fox News reporter, watchdog outfit Media Matters had nothing bad to say about him. 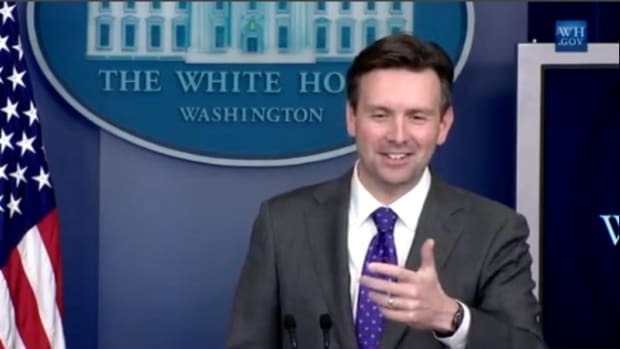 Unlike many White House reporters (myself included, if I&apos;m being honest), Goler eschewed briefing room theatrics and editorializing in favor of a straightforward, professional style that served him well on the beat. 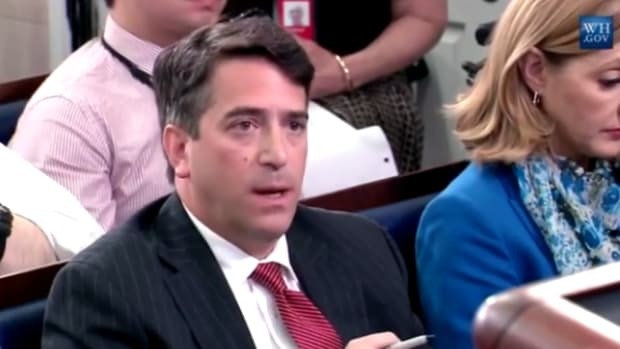 This past week, newly-minted Fox News White House Correspondent Kevin Corke has stepped into the void left by Goler in the second row. 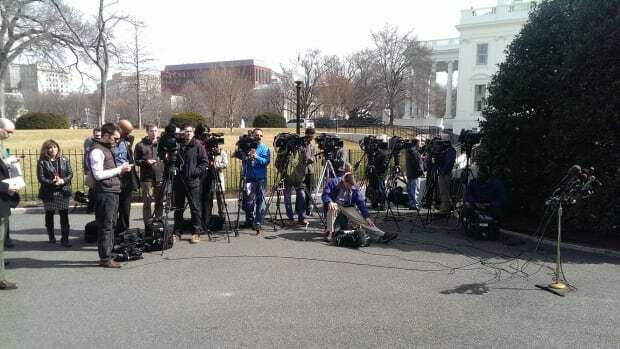 Although he started with the network three weeks ago, it&apos;s only in the past couple of briefings that Corke has asked questions at the White House daily briefings, and early indications are that he will approach the job in a similar fashion. 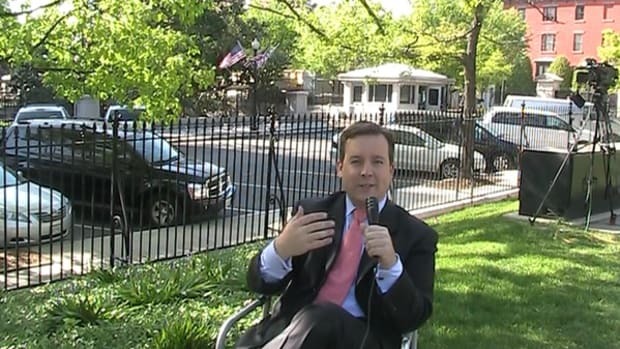 Corke has got a polish in his voice and delivery that set him apart from Goler, and pretty much every other White House reporter, that he put to good use as a sportscaster with ESPN. His steady style of questioning, though, recalls the work of his predecesspr. At Wednesday&apos;s briefing, for example, Corke was adversarial but not antagonistic while asking about former Obama campaign strategist Jeremy Bird&apos;s work to unseat Benjamin Netanyahu. "I have a lot on my plate. Taking to task what former administration officials do once they leave the White House is not something I’m going to engage in right here." 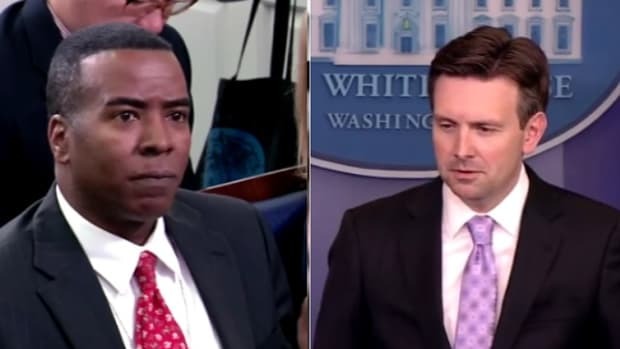 It was a fairly ambitious line of questioning, given that we were being briefed by Deputy White House Press Secretary Eric Schultz, and not Josh Earnest, but Corke didn&apos;t press for a good piece of tape when Schultz shut him down, he just moved on. 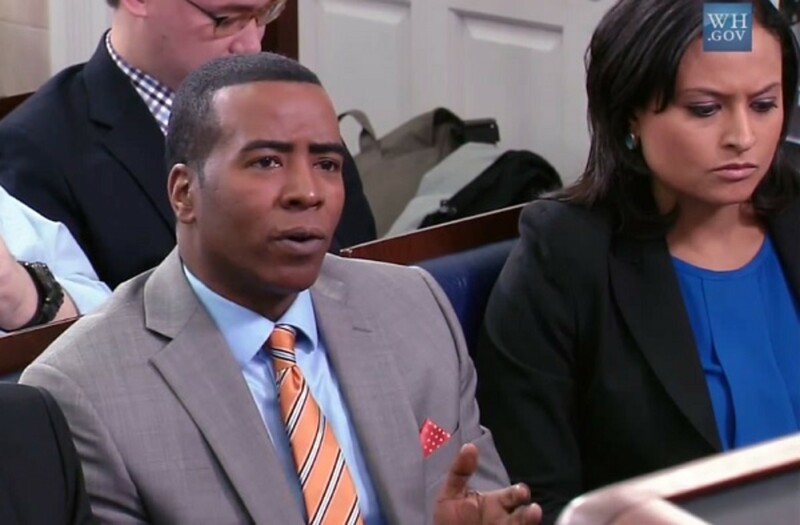 Of course, Kevin Corke is no stranger to the White House briefing room, having covered the beat while he was at NBC News for four years, where he also sometimes appeared on MSNBC. After Wednesday&apos;s briefing, I had a chance to introduce myself to Kevin (and warn him that he&apos;s not allowed to talk to me on the record), and he was really nice and collegial with me, just as Wendell Goler always was, and I wished him well in the new post. 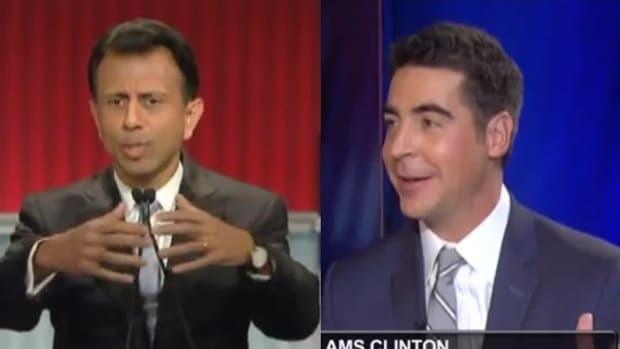 Like all Fox News reporters, he&apos;s going to face added scrutiny from media critics and watchdogs looking for signs of bias, and sometimes they&apos;ll invent some even when there isn&apos;t any, but as of now, he&apos;s the same reporter he was when he covered George W. Bush for NBC News, and there&apos;s no reason to think that will change.